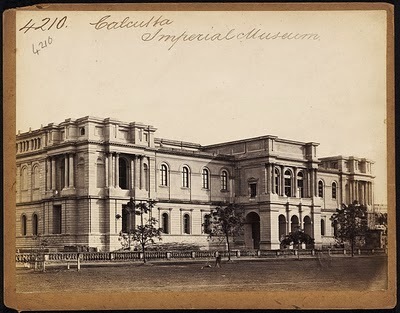 "There was one class of public building in which the British in India truly excelled: the museum. It was the one class of building, too, that the Indian masses treated with reverence – They called a museum a “House of Wonder”." - Jan Morris, author "Stones of Empire: The Buildings of the Raj"
One of the most famous landmarks in Calcutta & the commander of unbridled public & media interest, the Indian Museum at Jawahar Lal Nehru Street witnesses long queues of visitors every morning outside its ticket counter. Eager to get into the building they refer to as “Jaadughar” (“House of Wonder”), the crowd consists of students, old grandparents accompanied by their grandchildren, foreigners, tourists, research scholars & even the poor & the underclass of the city & its suburbs. The grand white Neoclassical-style building completed in the year 1878 was designed by the famous British architect Walter Granville (who also designed the Calcutta High Court & General Post Office, refer Pixelated Memories - General Post Office. He passed away in the year 1874 & could not see the museum being completed). On the whole, the structure appears at unease with its 21st century surroundings – located next to the Oberoi Grand Hotel, the museum building disappears behind stalls selling stuff like key rings, purses & wallets, second-hand books/magazines/atlases & encyclopedias; there are a few hawkers selling eatables such as pakodas (deep-fried snacks made with gram flour batter), tea, cigarettes & luchi (Bengali deep-fried bread); the vendors who do not yet possess a cart/stall take to sitting on the pavement to display their wares which include bedsheets, melaware cups & other bric-a-brac – it seems as if the whole museum building is going to vanish out of plain sight much like the Sirius Residence in the Harry Potter movies. The issue is further compounded by the presence of a flyover opposite the museum – Walter Granville’s magnificent masterpiece has ceased to resemble its own self; comparing the present-day photographs to the earlier sketches & photographs, one is forced to wonder if development & urbanization are essentially beneficial. In this case, they aren’t, visually, historically or emotionally either. Bronze letters spell out “Indian Museum” in Hindi, English & Bengali while a CCTV camera keeps watch over the passer-bys. A few broken chairs, a movable steel staircase & potbellied & unshaved guards make up the first set of artifacts one notices, definite remnants of a long gone golden age. 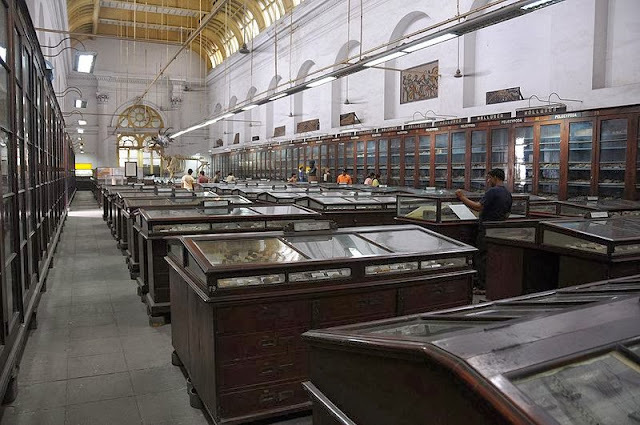 Thankfully for a museum this old & notorious for being one always at the receiving hand of official apathy & callousness, the visitors won’t forget it & keep flocking day in, day out to see the items on display in their musty, dirt-covered cases & rusty, old hangings. A remnant of Italian architecture in this essentially old city, the museum building has been in news for several past years largely for all the wrong reasons – indecent restoration work, thefts & financial irregularities, failed structural additions, locked galleries & uncooperative staff (see the article links at the end of this post). The oldest & largest museum in the country & one of the first of its kind in all of Asia, the museum had meager beginnings – though the modern structure came into existence in 1874-78, the priceless artifacts & specimens it hosts came from the private collection of Danish botanist Nathaniel Wallich who in 1814 convinced the Asiatic Society about the need to start a museum in India & got them to lend him space on their premises for housing his collection which grew as donations from native princes & English officers started to come in, culminating in one of the largest collections of its kind in Asia. Soon the Government granted land to build the museum in its modern form as we know it. That the building is huge there is no doubt about (it provides over 10,000 square feet area for display), however the measure of its scale cannot be had from the outside – once you are past the ticket counter, rude guards who seem more adept at shouting at visitors & the crowds of large-eyed visitors & get to stand in the courtyard around which this massive three-storey structure takes the form of long colonnaded walkways, it is then that you begin to fathom the nature & number of the wonders that await you. Thus begins the journey of another large-eyed visitor through collections more than two-century old of stuff that ranges from being two-century old to two-million year old, all stacked up right & left for your pleasure till you are out of breathe because of the huge intake of history, art, anthropology & natural sciences you just had!! The simplistically designed building has been divided into several galleries depending on what they feature. The collection is so large that there are specimens spilling everywhere, large Buddha statues & stone reliefs stand in the corridors as if it’s the most natural thing to do!! The museum management, in another instance of bureaucratic idiocy, have allowed still camera photography for a payment of Rs 300 but prohibited video & mobile camera photography, in fact visitors are asked to switch off their mobile phones on entering the premises – what am I supposed to do (I don’t own a camera yet) except look for a chance to click pictures when the guards aren’t looking?? The guards prove to be rude, their idea of stopping tourists from clicking pictures involves confrontation, shouting & shoving the haggled visitors till they delete the photos from their phones & showing them the way out if all else fails – now a Chinese couple might get heckled when you behave so (yeah that’s the first thing we saw when we entered the museum), but three, well-built college students who have spent all their life in Delhi, Haryana & Uttar Pradesh?? Guards zero, Students one; first fix your stupid rules, then lecture us!! Interestingly, even those who possessed a camera & bought photography tickets were being stopped after every few steps by more guards asking to see the tickets. We are just clicking, not stealing artifacts, why get your pants in such a bunch?? The entire museum is under CCTV supervision & the staff appear quickly if a visitors flouts the two basic rules here – “No Photography” & “No touching the cases”. We had a panic moment when a young lady walked up to us in the archaeological gallery & inquired if we were taking photos; I guess our poker face isn’t as good as we thought it was because she did not believe us for a second & pointed towards the CCTV cameras fixed along the ceiling – so that’s why there aren’t any guards in this gallery!! Turned out she was another visitor who then joined us in taking photos, the more the merrier!! 1. One of my least favorite galleries, the Geological section is stuffed with millions of stone (precious, ornamental & ordinary), marble & rock specimens filled in glass case upon case. There are few interesting items such as meteorite fragments & fossils thrown in too, but in a gallery this large, looking for them was like looking for a needle in a haystack. Could definitely make do with a change in the arrangement & the usage of signs to point to the different categories of rocks housed (much like a library with shelves marked with subject names). But at least it appealed to my friends studying Metallurgy; they were almost drooling on the cases! 2. 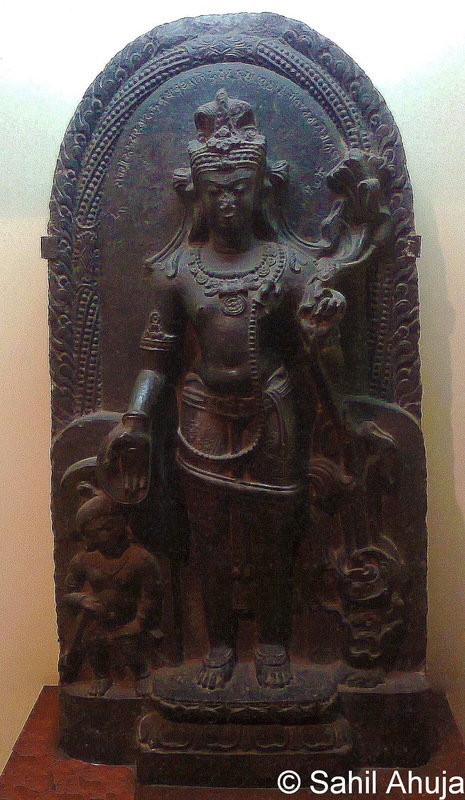 The Archaeological Section contains sculptures belonging to the Gandhara & Mathura styles of art, over 50,000 coins from the reign of several emperors dating far back to 5th century BC, carvings & statues from several Buddhist stupas & some Egyptian antiquities. The Egyptian gallery even boasts of a 4,000 year old Mummy. There are hundreds of sculptures, you’ll get tired looking at them but there would be no end in sight! 3. 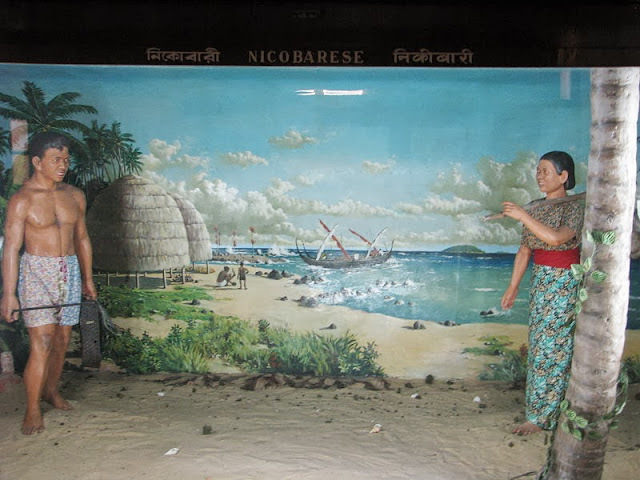 The Anthropological Section is one of the most fascinating amongst all the galleries with large display cases depicting the life, attire & habitat of the different tribes living in the subcontinent. Then there is another impressive section that displays the different phases of human evolution – the aesthetic setup is well-designed – the glass panels holding the skeletal remains & the replicas of human ancestors are lit only by single red bulbs that light up only the facial features & lend an eerie air to the scene. A third display is devoted to masks used for rituals by various tribes in the country. To my utter surprise & delight, on display in a separate room is a skeleton (OK, only the skull) of Rajasaurus narmadadeva, the only dinosaur ever found in the Indian subcontinent. This was more than I ever expected!! 4. The Art Section has galleries dedicated to textiles, paintings, decorative art objects from different parts of the country. The exhibit also includes jewellery, silverware & ornaments, bone art, wood work, metal pieces, sculptures, carved ivory & rhinoceros horn articles, pottery & such. 5. 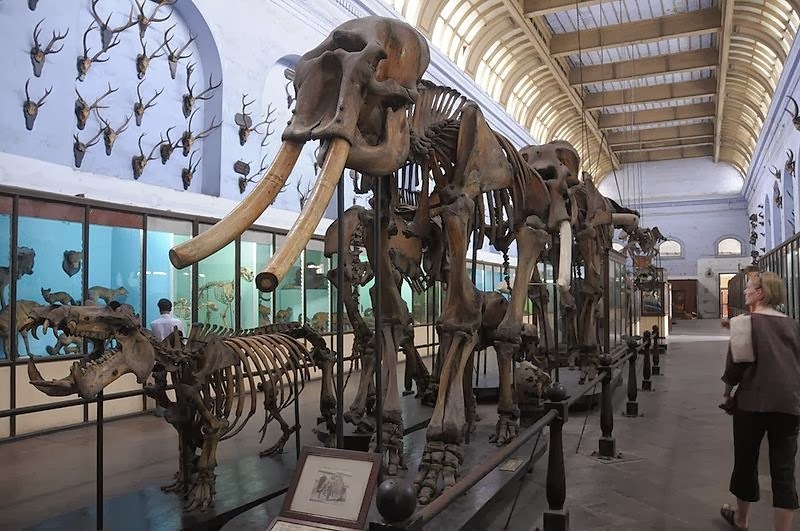 The Zoological Section, my favorite, boasts of remarkable specimens of flora & fauna – there were deer antlers hung from wall alcoves, a huge walrus is the masterpiece flanked by mammoth & hippopotamus skeletons sprawled on the floor in the center of the room, a gigantic whale skeleton that seemed to be swimming in air since it was hung from the ceiling through bearings nailed in the roof, butterflies in glass cases, animal embryos preserved in bottles, stuffed animal hides & a study of taxidermy, specimens of fish, plant life & several species of insects. 6. We skipped the Industrial Section where botanical specimens bearing upon medicine, agriculture and industry are displayed. Funded by the Indian Government, the museum is an autonomous organization enshrined in the Constitution of India as “an institute of national importance”, however like most government institutions, the upkeep here is far from good. Most of the display cases are covered with a layer of dust (perhaps the cleaners also cite the rule “Don’t touch the glass cases”!! 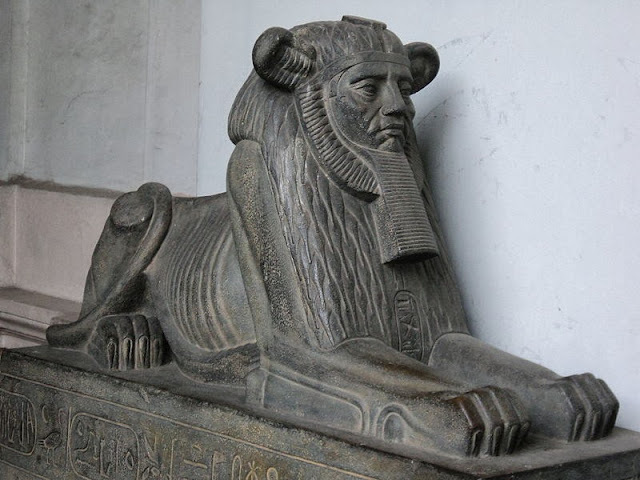 ), half of the sculptures & carvings kept in the open courtyard are at the mercy of natural elements, the zoological samples have started showing signs of decay & many of them look like old, dirty teddy bears rather than real animals. Thankfully, the museum is headed towards much needed repair, restoration & conservation work as part of its bicentennial celebrations in 2014; in fact some repair work was already in full swing when we visited the place with structural additions being made/removed, strengthening & painting of walls, restoration of specimens – some of the galleries were locked on account of the same. We do hope that the authorities & workers won’t resort to shoddy repair work resulting in structural damage as has been noted in newspaper reports to have occurred some years earlier. As mentioned earlier, the guards were rude brutes, however once you ignore them the rest of the staff is pretty friendly & knowledgeable – the guy at Zoology section was a trove of knowledge & well-versed with the details of the specimens stacked. Interestingly the Zoological Survey of India & the Geological Survey of India are offshoots of this very museum! 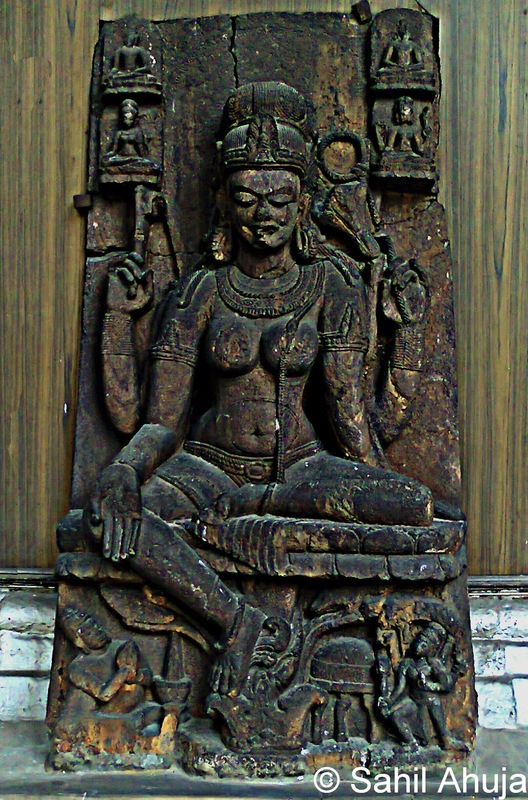 An in-house publication division stocks books (on various topics such as history, paleontology, archaeology & Buddhism), scaled-down replicas of the various sculptures & Buddha statues on display in the museum, postcard sets (depicting Indian mythology (primarily representation of paintings dealing with certain events in the life of the mythological king Krishna, considered to be an incarnation of the Hindu God of life & nourishment, Vishnu), important archaeological finds (the lion emblem from Sarnath, Yakshini statue), Mughal paintings & such). The statues & books were quite expensive so I had to be content with buying the postcards (I bought all the sets though – the “About Me” of this blog does list philately as one of my hobbies). Despite its reputation as an institution stuck in the thrall of bureaucratic high-handedness & ignorance & despite the general belief of museums being insanely dull & boring, this museum is actually a treasure trove – though you might have to oversee the dust-coated display cases (you can actually trace your name in the dust for other visitors to see!) or plaques containing so much information (yes I know the statue is old, can’t you be specific as to how old instead of just noting “Old”?? ), but nonetheless the museum does prove to be impressive & promises to increase your knowledge several folds while being a visual delight. Not only just nerds but everyone visiting or living in Calcutta should frequent the place at least once, it deserves it. And don’t touch the cases please, the guards are prickly! How to reach: Buses & taxis are available from different parts of the city to the museum. One can walk from Esplanade to the museum. Open: All days, except Mondays & national holidays. Photography Charges: Rs. 300, restricted by permission. Seems like an impressive place, the sculptures are fine examples of craftsmanship. Unfortunate you could not click more pictures yet amazing none the less.